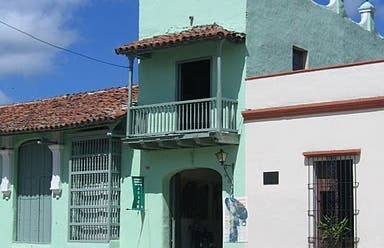 The huge square of St John of God is the most picturesque corner of Camagüey, the only place in town that has been preserved in its original layout and buildings. Composed of several notable buildings, including a major hospital, now a museum, and priceless collections of Cuban architecture, its most important building is the church. While not large, it dominates the square, with a tower that you can go up to enjoy a great view of the old city. Inside, on the altar, one of the few examples of religious art that shows the Holy Spirit in human form. The same sculpture represents the three forms in various postures.